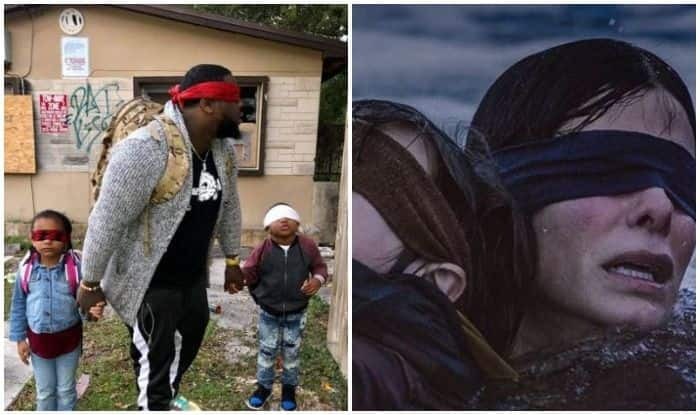 The new year 2019 has just begun and creative heads of the internet have started a bizarre and potentially dangerous challenge named the ‘Bird Box Challenge’. As the name suggests, the challenge is inspired by Netflix’s latest thriller film Bird Box which stars Sandra Bullock in the lead. In the movie, Sandra, who plays the role of a mother tries to prevent her children and herself from an entity by blinding herself and her kids. In the post-apocalyptic condition, if anyone happens to see at the entity, they are instantly driven to commit suicide. The characters in the movie perform all the daily task and adventures without seeing anything. Now, netizens have taken the cue from the film and have started the challenge where they are blindfolding themselves and are trying to perform tasks. Even though the idea sounds interesting, it could have disastrous consequences and people can potentially harm themselves. The challenge has now taken the internet by storm and several videos of the challenge have gone viral. 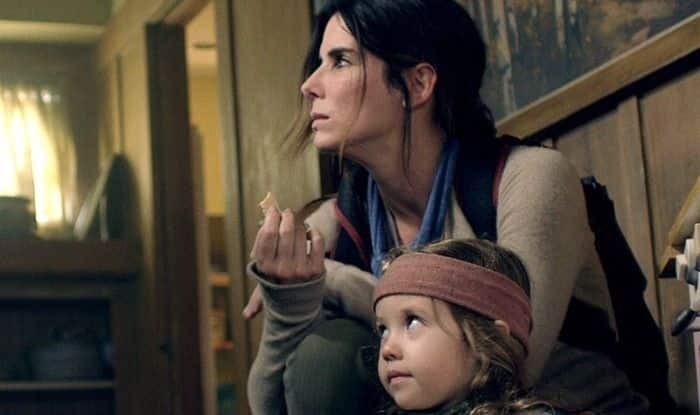 Talking about Bird Box, the psychological thriller, led by Academy Award winner Sandra Bullock, revolves around a mysterious force that decimates the world’s population with only one thing being certain which is – if you see it, you take your life! Facing the unknown, the protagonist finds love, hope and a new beginning but she must flee with her two children down a treacherous river to the only sanctuary left for them. The catch is that to survive, they’ll have to undertake the perilous two-day journey blindfolded. The movie is helmed by Academy Award winner Susanne Bier featuring a star cast including Trevante Rhodes, with Sarah Paulson and John Malkovich. The compelling new thriller is now streaming on Netflix.